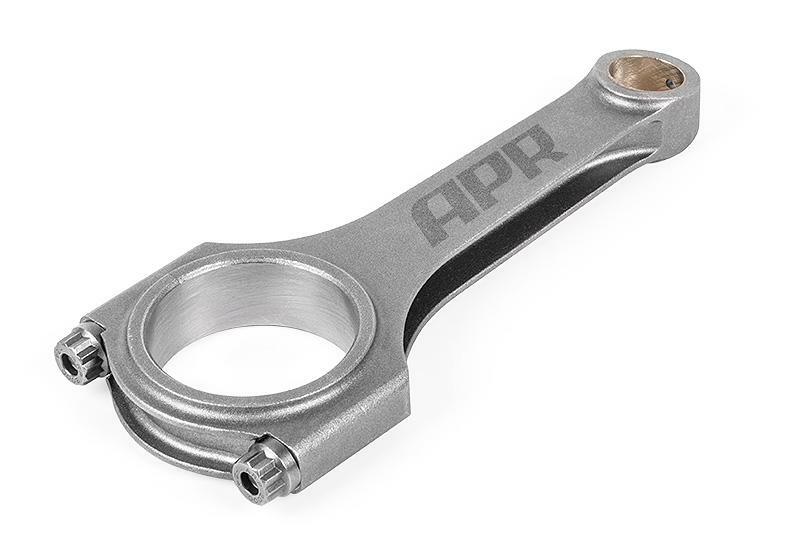 APR is pleased to present Light-Weight, High-Strength Forged Connecting Rods for the EA113 2.0T FSI engine! We call it Performance Without Compromise. The wrist pin end of the rod features a wear resistant bushing material made from AMPCO 45 – a high strength alloy with mechanical properties beyond that of commercial nickel-aluminum bronzes. Wear reduction is further enhanced via a pin lubrication access point at the top of the rod, feed by the engine’s oil squirters. For further weight reduction and drop in rod compatibility with OEM and APR pistons, the wrist pin end is tapered.